GenreOnline.net: UPDATED WITH COVER ART! ECHOES arrives April 14th on Blu-ray and DVD from Anchor Bay Entertainment! UPDATED WITH COVER ART! 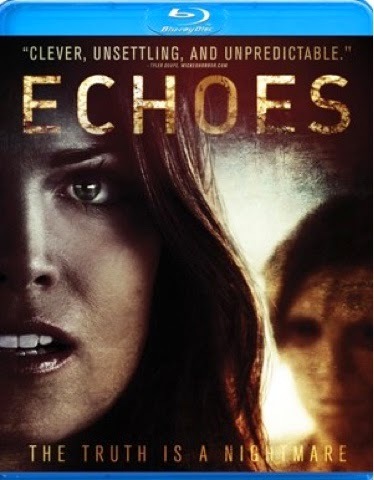 ECHOES arrives April 14th on Blu-ray and DVD from Anchor Bay Entertainment! Can the desert summon the dead? BEVERLY HILLS, CA – An official selection of the New York City International Film Festival and FilmQuest Film Festival, winning Best Actress, Best Screenplay and Best Director honors, the highly anticipated supernatural thriller Echoes arrives on Blu-ray™ and DVD April 14th from Anchor Bay Entertainment. The feature directorial debut of Nils Timm (who also wrote the screenplay), Echoes explores the murky realm between reality and dreams, and what could happen when these worlds collide. With a stellar cast including Steven Brand (“Teen Wolf,” The Scorpion King), Kate French (Channeling, “Gossip Girl,” “One Tree Hill”), Billy Wirth (“Chicago P.D.”, The Lost Boys) and Steve Hanks (12/12/12, Hold Your Breath), Echoes will have viewers guessing until the final fade-out! SRP is $26.99 for the Blu-ray™ and $22.98 for the DVD, with pre-book on March 11th.